Today I thought I'd blog about Batman. Or the English (which we're allowed to make fun of because everyone loves them and they aren't oppressed). Or California (which we're allowed to make fun of because they're California). But I decided not to. So instead: a font which isn't Trajan. 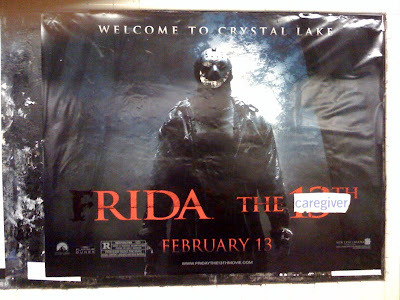 I laughed out loud in the subway today when I saw the "Rida the Caregiver" poster. Yeah, I have no idea. I don't even recognize the handwriting. Smartpants the movie. Robots playing Paper Rock Scissors.